Fire-protection systems such as sprinklers and other point of use or specialized fire-suppression systems are typically maintained and tested on an annual basis and generally do not fall into disrepair very often. 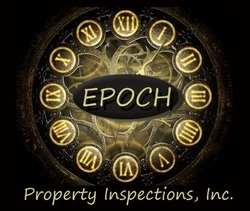 Though, during a commercial property inspection or property condition assessment, it is important to verify the presence as well as the type and location of all fire-protection systems located on a property as well as look for any and obvious physical damage to components, except for portable fire extinguishers which are not a permanent fixture of the property. A general rule of thumb is that there should be a fire department connection located on or adjacent each sprinkler protected building within 100 to 150 feet of a fire hydrants on the property. This is to ensure that the standard is length hose is carried by fire trucks in most jurisdictions can connect to pressure boosting pumps within the fire engines and the city water supply directly to the sprinkler system supply. Fire-protection systems are typically monitored by electronic fire alarm systems via water flow switches at each level as well tamper switches, which are installed to ensure no one inadvertently closes any valve that would render the sprinkler system ineffective. As a with any building system commonly found on a commercial property routine inspection and condition assessment followed by application of proper maintenance materials and techniques is of utmost importance in ensuring the longevity of any fire-protection system. Examples: sprinkler service, sprinkler heads, sprinkler piping, water flow switch, valve tamper switch, sprinkler alarm bell, wet pipe system, dry pipe system, pressure maintenance pump, fire pump, stand-pipe, fire hydrant, fire department connection, knox box.